Iris and Ember is an Orlando based photography service specializing in weddings, available worldwide wherever your journey takes you. This service is led by Doug Jackson and complimented by other local professionals as needed. 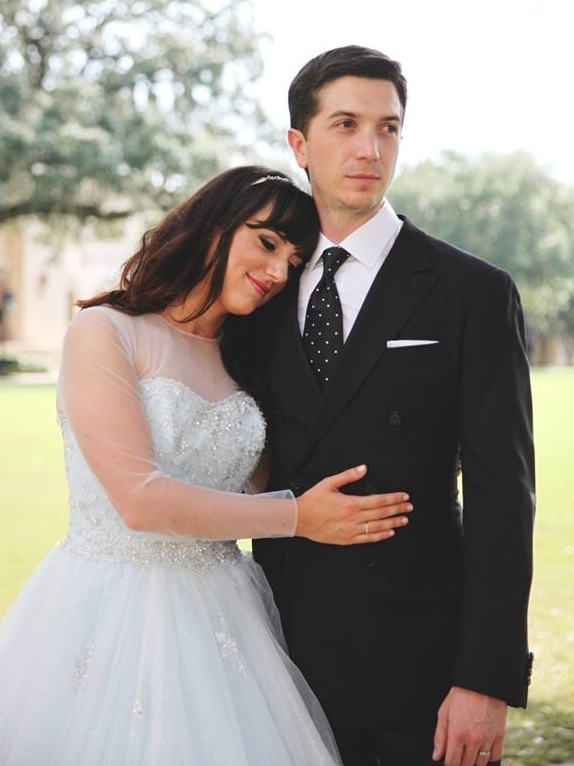 In 2013, Doug married his wife Sam right here in Florida at the Knowles Memorial Chapel, Rollins College. Together they live with their little dog Bindi, can probably be found at the Epcot Food and Wine festival, and are enjoying life as Tía and Tío to their niece Lola. Doug holds a Bachelor of Science in Film and served as a U.S. Marine in the Iraq War. These three words are the guiding principles in my approach to documenting your wedding. At a time when it seems everyone has a camera and everything is being documented, it has become even more important that professionals understand classicism, recognize beauty, and allow space for sincerity to exist. This is where we come in. Years from now when recalling your wedding day, you will want to remember how it felt that time of year, the beauty of the location, and the joy of having all of your family and friends gathered in one place. It is my goal to observe all of those elements and apply years of formal training to capture your day like no one else could. Look through my portfolio, consider your own wedding and what matters to you, then let's talk! You're on the right page. I've condensed years of questions and answers all right here, hopefully making the process clear and simple. So you’ve seen my work and want to book me for your wedding, or maybe you still have some questions? No problem. Send me a message and let's meet up. I’ll confirm that I’m available for your wedding date. I’ll send you a digital contract, you'll pay the deposit online and I'm officially booked!